Tyler “Ninja” Blevins will be the first professional gamer to appear on the cover of ESPN the Magazine, gracing the front of the October issue. Ninja enjoyed a meteoric rise to the top of the video game world, earning more than 18 million subscribers on YouTube and another 11 million followers on Twitch. While streaming, Ninja receives donations from viewers and can earn more than $US500,000 per month. The largest single donation he remembers is $US40,000. Tyler “Ninja” Blevins has enjoyed a meteoric rise to the top of the gaming world, becoming the most watched video game streamer in the world playing “Fortnite: Battle Royale” and doubling as the game’s most successful esports competitor. Ninja now has a new achievement to add to his growing list: becoming the first professional gamer to appear on the cover of ESPN the Magazine. In the ESPN cover story, Elaine Teng explores Ninja’s roots in competitive Halo, his relationship with his wife/manager Jess, and how he maintains his six-figure-a-month career. Ninja’s primary income comes from streaming; he spends about 12 hours a day playing for his Twitch audience and brings in $US500,000 or more a month through subscribers and donations. Ninja told ESPN the largest single donation he can remember is $US40,000. While playing “Fortnite: Battle Royale” alongside superstar artists like Drake and Travis Scott and winning major tournaments helped Ninja gain a celebrity profile during the last year, he began competitive gaming with “Halo 3” in 2009. 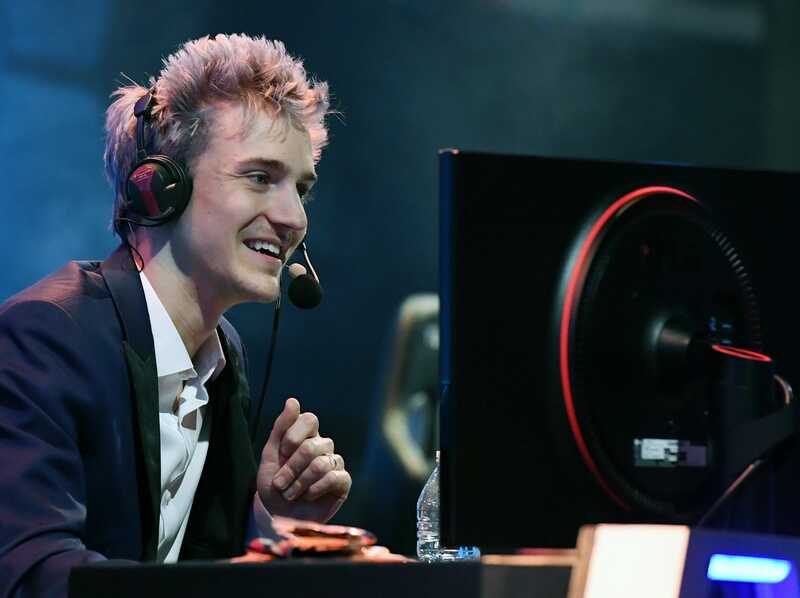 Though his success seems directly tied to the rise of “Fortnite” as the most popular video game in the world, Ninja has shown that he is willing to branch out to other games. Ninja recently participated in the beta for Blackout, the game mode in “Call of Duty: Black Ops 4” that mimics the battle royale genre, and he’ll soon be competing in the game as well. He will be the leader of Team Ninja during the Doritos Bowl, a four team tournament scheduled for October 27 at TwitchCon 2018.